We seem to be raising four little bookworms and I can’t say that I mind even a little bit. 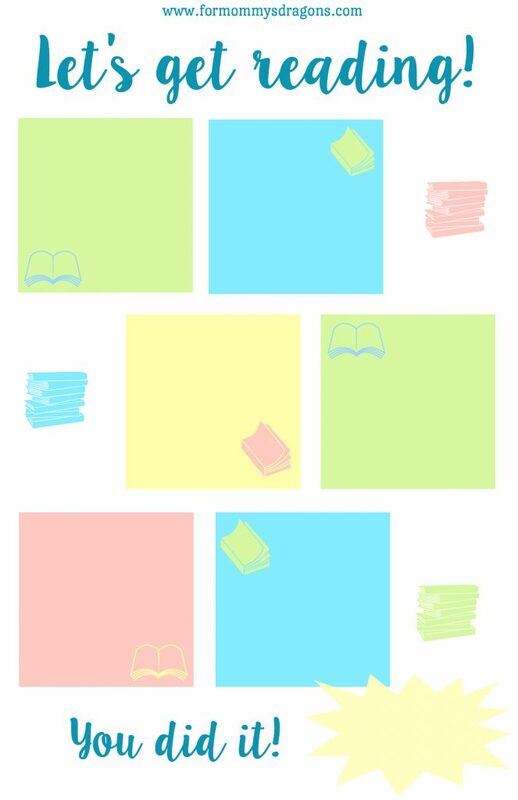 For this summer, we created a fun reading challenge that I want to share with you. I will leave a printable link for you to print your own and personalize for your own littles. Reading is so important for kids of all ages! 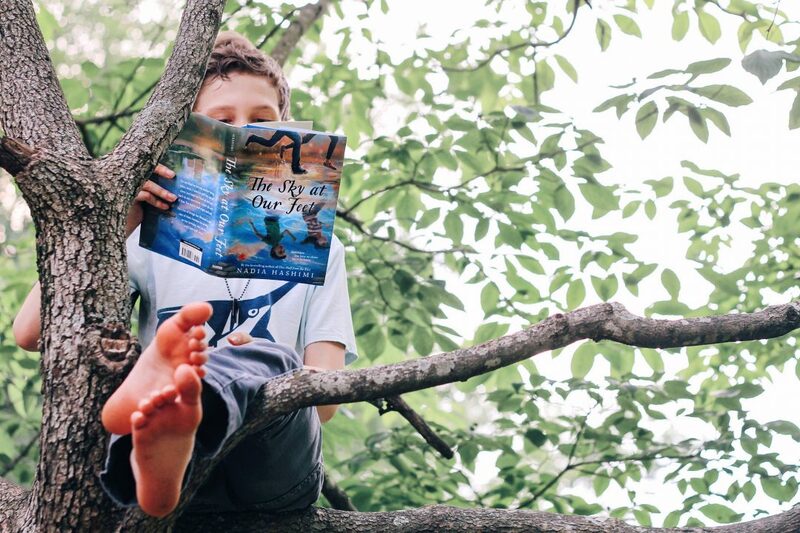 When kids get a little older and they don’t want to sit on your lap to hear you read picture books anymore, it’s good to find fun ways to encourage them to keep cultivating a love for reading. The reading challenge can be so fun and a great way to encourage kids to always love reading. 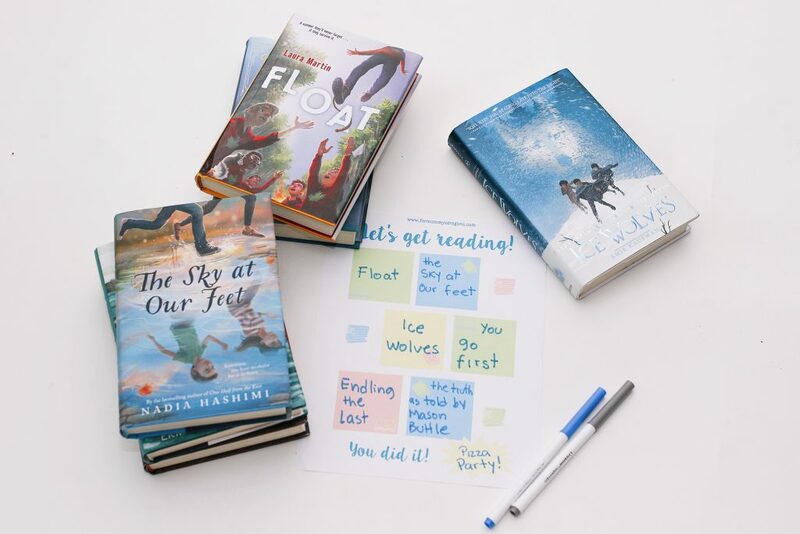 Let the kids help you chose a few titles from an online list or the library and use this printable chart to create the challenge. Write each title on the colorful squares, and write the reward that they are working for on the yellow bubble at the bottom. You can track their progress by drawing a checkmark next to each title once they are done reading it. I like to do 6 books and then a reward. You can print one chart per child and that way they can even have a friendly competition! The rewards can be simple like an ice cream cone or a trip to the dollar store but the possibilities are endless! My kids love things like, pizza night, extra hour of video games, a new book, etc. A fun thing to do is to have a super extra special reward after they have completed 10 challenge charts! My boys can now be found in all sorts of places, reading a book. Every night I have to come in their room a second time to ask that they put their books away and go to sleep. This reminds me of my own childhood and the wonderful places and people that I got to experience through so many books! What a wonderful feeling to see my boys do the same! I hope you will have so much fun with this chart! please come back and tell me about it! If you want to take a peek at some of our current favorites, I am sharing our summer reading list on this post.